There is big news for the 2016 Finish - A - Long! For those of you who are new to the FAL, it is a place to find motivation and encouragement to complete those unfinished projects that are hanging about becoming UFOs. Every quarter you post a list of projects you hope to finish in the next three months, and then at the end of the quarter, you post a link from your blog, flickr or instagram of each successful finish from your original list. Each finish is an entry for wonderful prizes from our sponsors. The FAL has grown and grown since Rhonda - now Rhonda's Ramblings - started it in 2012 in the USA. 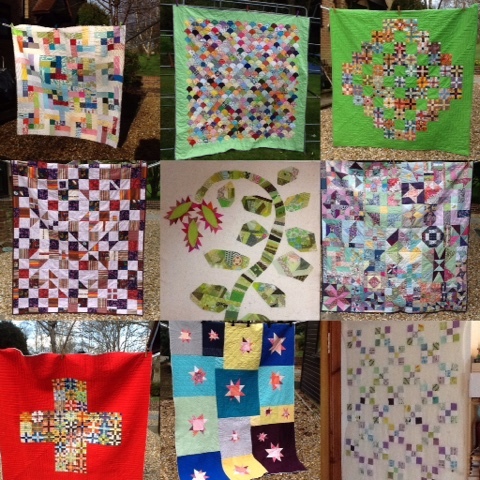 It moved to Canada in 2013 where Leanne - She Can Quilt - hosted it, then in 2014 it was off to Scotland in the UK where Katy - The Littlest Thistle - was in charge, and in 2015 it moved to New Zealand where Adrianne - On the Windy Side - has been doing the honours. And it really has become too big for just one blogger. Nicky - Mrs. Sew and Sow -UK that will be me folks! There will be shared link-ups that you only need to join on one blog (just like we do for #scraptastictuesday) for your links to appear on all the hosting blogs. Otherwise, the FAL will remain mainly unchanged and we are hoping that everyone will join us. Please link up your Q4 2015 finishes with Adrianne at On the Windy Side, from December 31, 2015 through to January 6, 2016. And please plan to join the 2016 FAL. The Q1 link for your proposed list of finishes will open on January 7, 2016, on all of the new community hosts. In the meantime, you can grab the 2016 FAL button and follow along with everyone in the hosting community. On Instagram and other social media, for 2016, please use the hashtag #2016FAL and follow the FAL account @finishalong. 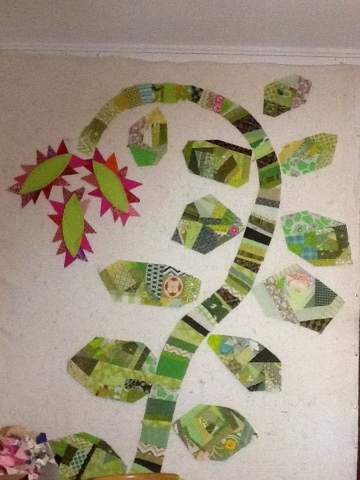 #Scraptastictuesday last of the year 2015! I'm looking back today - the last Tuesday of 2015 - at what scrappiness I have got up to this year. Now you would think that would mean I have no scraps left wouldn't you? No such luck so I guess I'll just have to keep on using up those scraps! Hope you will join Leanne and I in 2016! And making them into this monster of a plant - I think I was channeling panto season but I think I'll leave Jack out of the picture. Too scary ? And how have I got on with those projects I was working on at the beginning of the week? 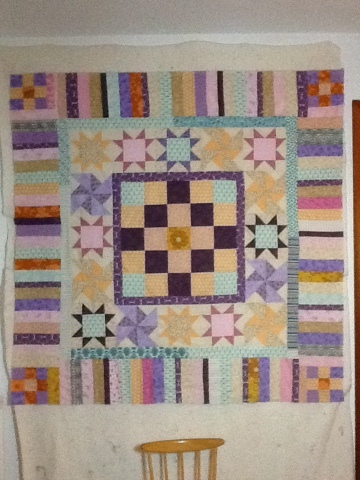 Well this top is finished and waiting to be made into a quilt for #siblingstogether. Congratulations to all our winners and thank you to everyone who linked up for the lovely inspiration. 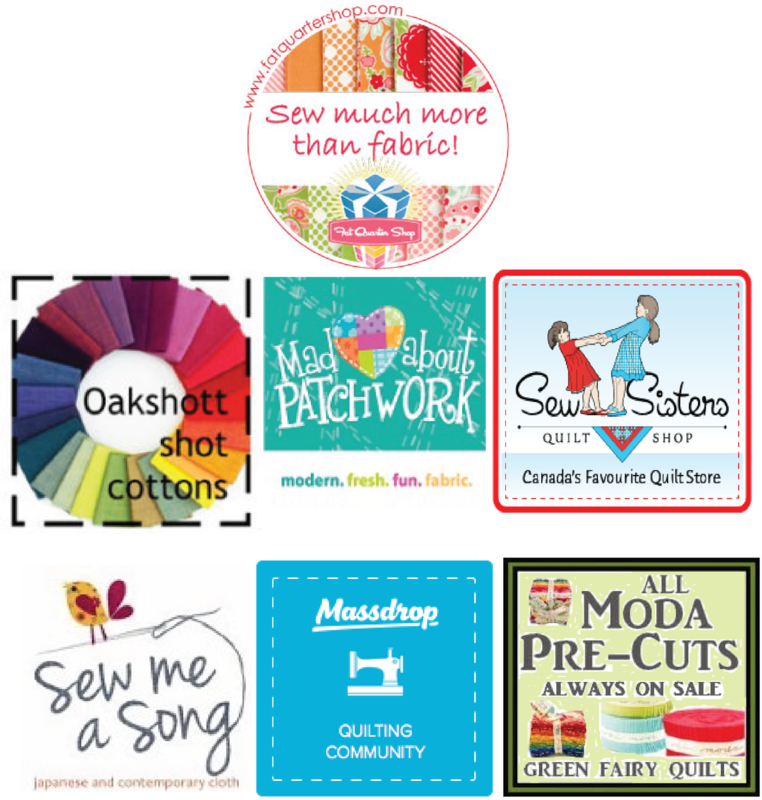 Please plan to join Leanne at she can quilt and I for January's Scraptastic Tuesday on the second Tuesday in January which is January 12, 2016. Scraptastic Tuesday - the December edition! 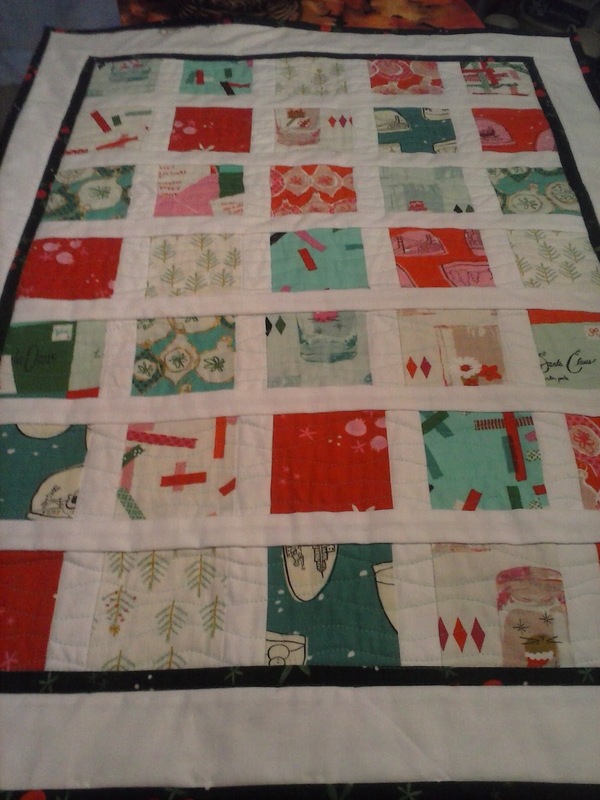 It's nearly Christmas so of course I'm making a totally impromptu quilt! 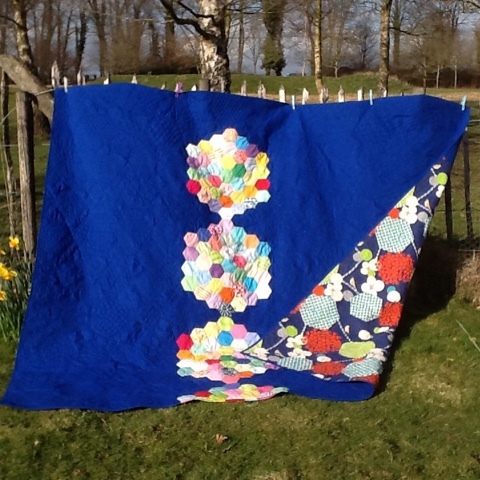 My clever Siblings Together beemate Mary Emmens has designed a fabulous Welsh blanket quilt pattern. It is gorgeous and reminds me so much of the doublesided Welsh blankets I fell in love with at the Ardingly Antiques Fair I went to years ago. I confess I even bought a few. 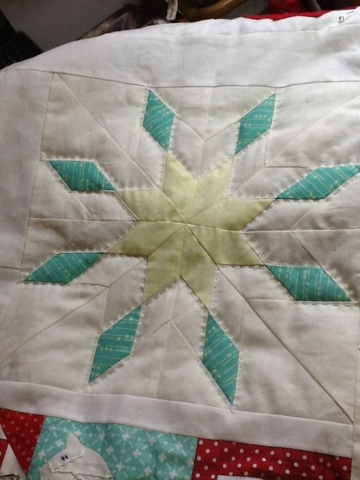 So when I saw Mary's quilt pattern I just had to volunteer to test it for her. So although I'm using my stash this project isn't a scrappy one! 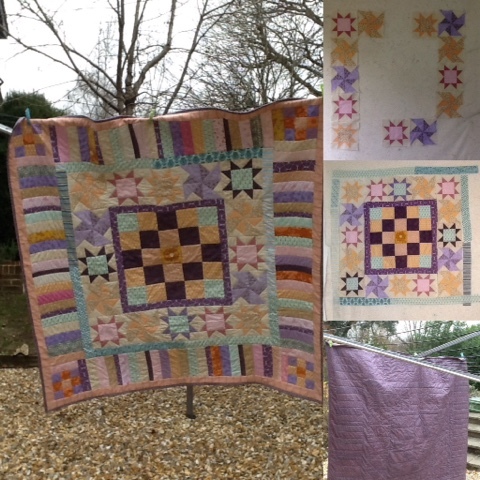 These blocks were donated to Siblings Together by another lovely beemate Catherine! 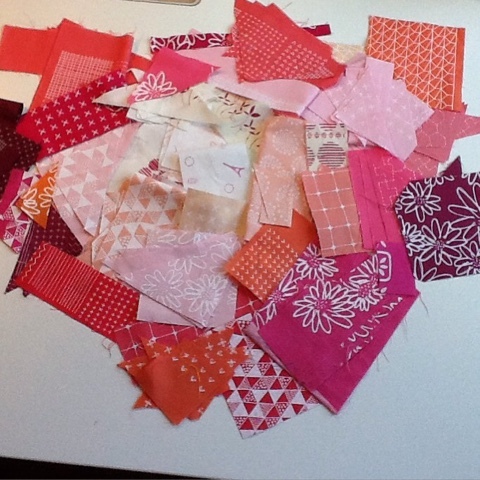 As you can see there are a few still needed to make a quilt - I'm going to copy Catherine, making some really scrappy ones - scrappy coloured bits and backgrounds! 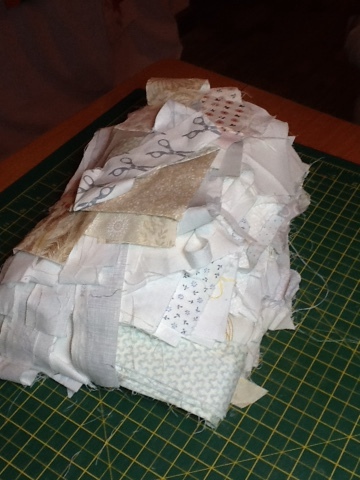 So here is my beginning - sorting out a whole pile of low volume scraps and ironing them flat. 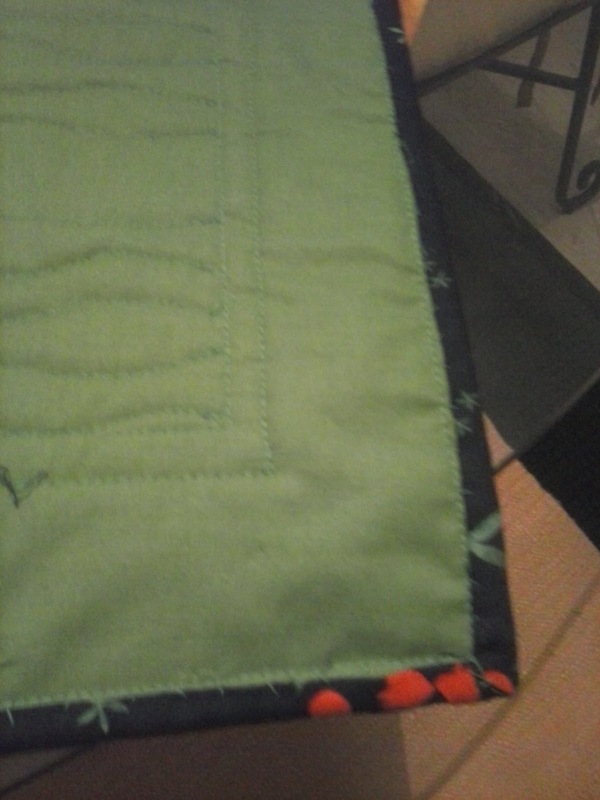 Now I only need to stitch them into long strips and trim to 2 1/2" wide. Then repeat with the coloured strips! One link per person, and it will be your entry into the random draw for the prizes. 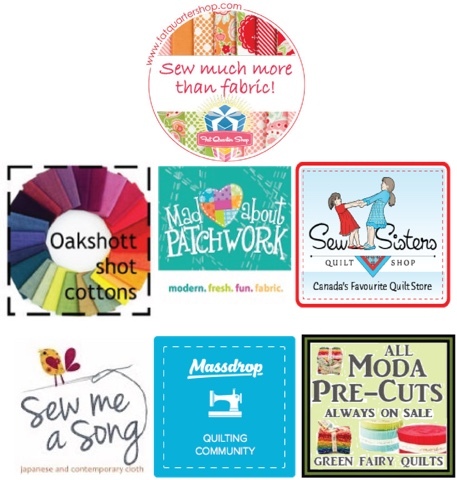 It is the same link up here and at Leanne at She Can Quilt - so you only need to link up on one of our blogs. 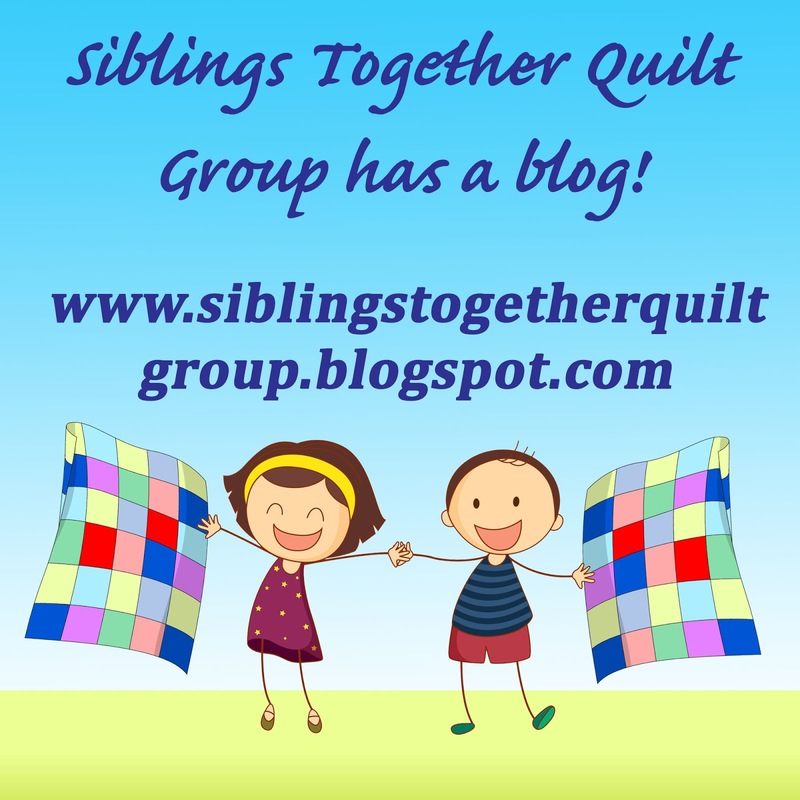 Siblings Together Quilt Group has a new home! I am delighted to introduce a new blog to you all. 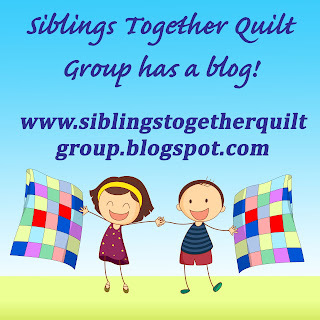 My friend Maria and I have been thinking that the Siblings Together Quilting Group needed a new home as Flickr is so out of fashion these days. If no-one goes there, it is a bit hard to tell people, what is going on! So we have been working behind the scenes to start up a blog and you can visit it here. In fact please do! And please leave a comment so we know you have visited. It can even just be a friendly Hello! 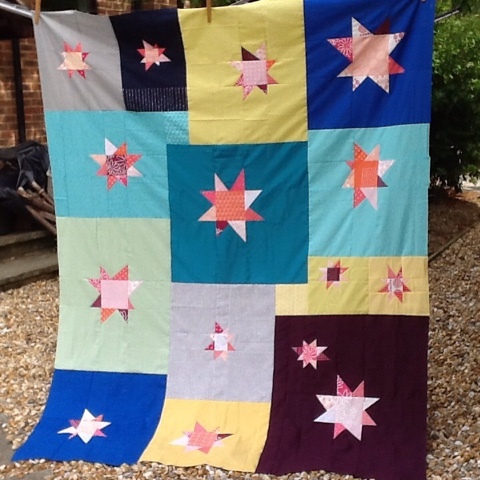 Our first post gives you a bit of the history of the quilt group, but there will be lot more about the campaign to make 100 quilts for the children in care in the UK. If you think there is something we should add please let us know. 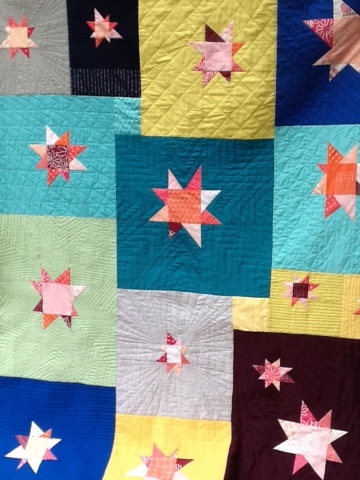 If you want to add something yourself about a quilt you have made or are making then do let us know. 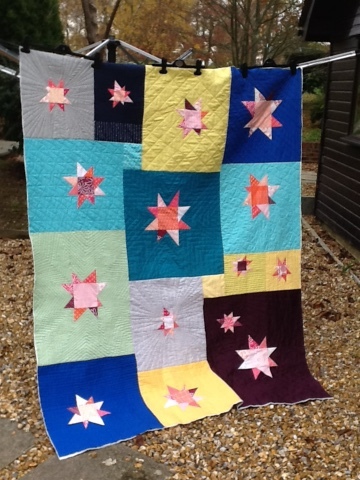 Delma the fabulous founder and CEO of the charity Siblings Together would love us to share the stories of quilts we have made, so the children can see how much we put into them and find out where their quilt came from. 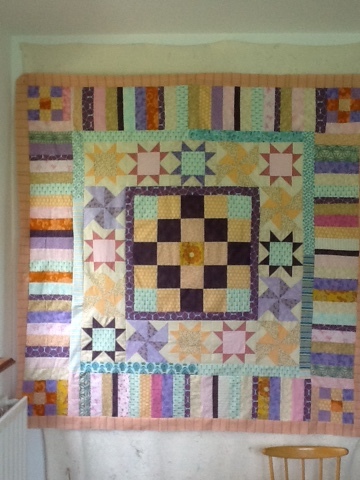 I just finished a couple of quilts this weekend and thought I'd show them. I've never used this colour scheme before but I think it has a girly sparkle! My eldest likes it but then she does like purple. 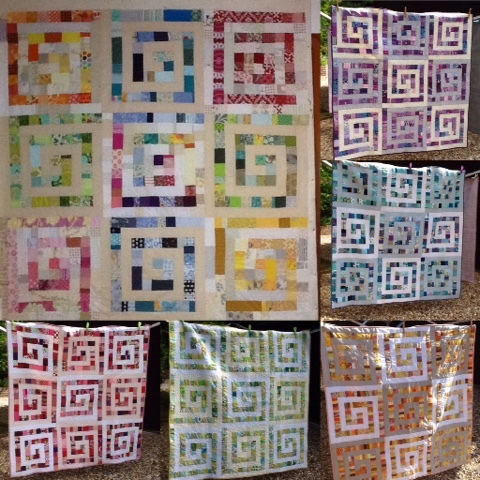 Then my lovely siblings together bee mates made these blocks which are quilt-as-you-go blocks and I put them together yesterday! 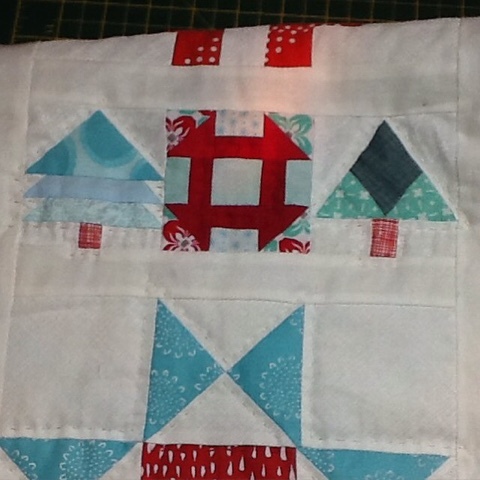 So easy as the backing and quilting is already done for you! Bit of a gloomy photo but that's what it is like at 10am in the morning here! 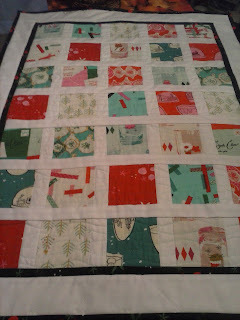 Scraptastic Tuesday - scrapping for Christmas! 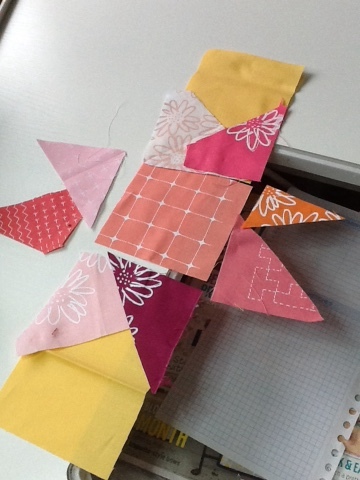 I think scraps are ideal for Christmas crafting! 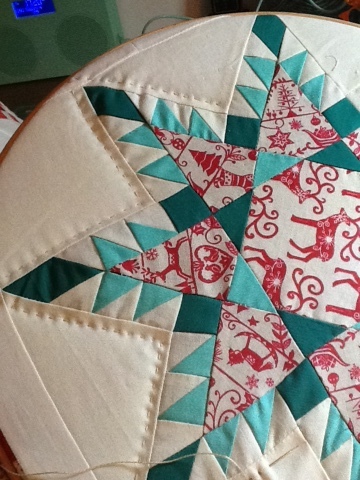 Are you scrap Christmas crafting? Easier to say after a celebratory drink.....or two! 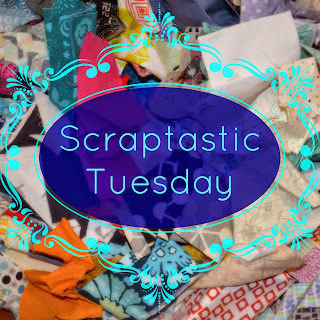 Scraptastic Tuesday Around The World! I need to get back to my scrappy ways again. 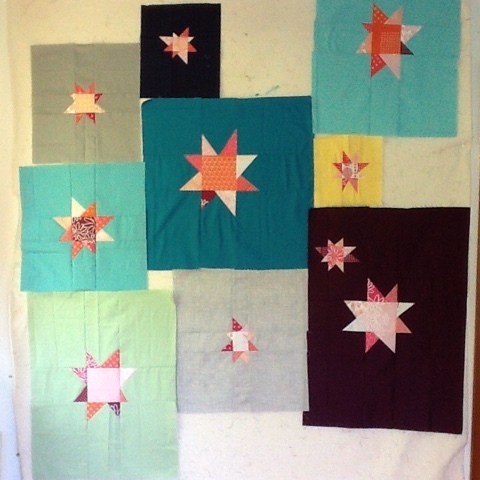 This week I am continuing to quilt my Nordik quilt which has lots of fabric in it but my blocks haven't really been cut from scraps so that is not scrappy enough to talk about today. 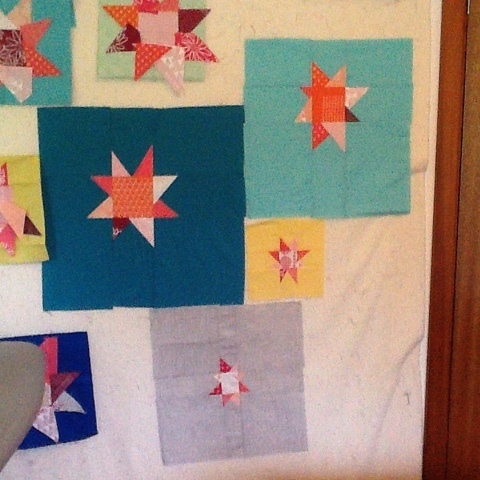 But here is a shot of some scrappy orphan blocks from Cathy Ewbank and some friends they have acquired from my lovely siblings together bee mate Joanne ! 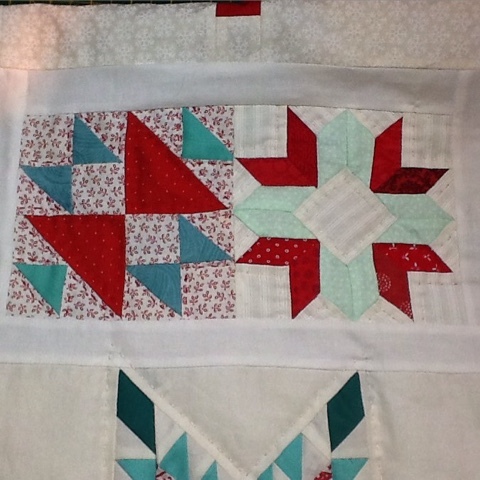 These will be added to, to complete a quilt for Siblings Together! Both ladies are so lovely to donate blocks to this fabulous cause. 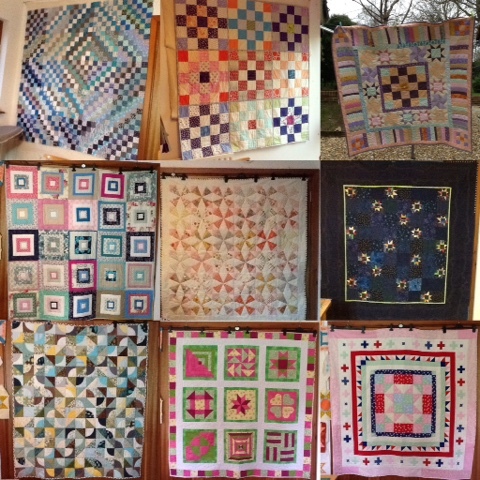 I am happy to stitch it all together and notch up another quilt closer to our 100 quilt target this coming year. 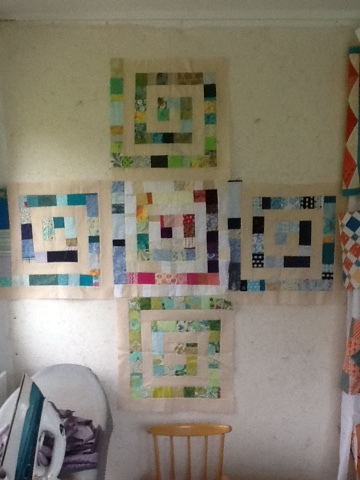 I really seem to enjoy these collaborative efforts and along with my bee quilts it seems I hardly ever make a quilt on my own now! 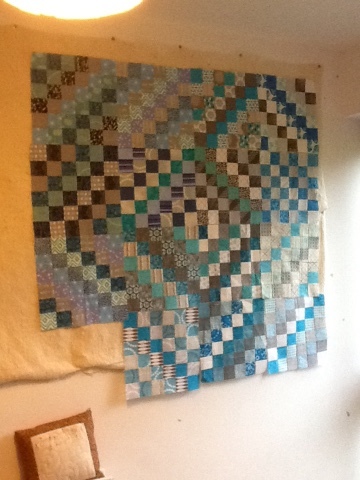 It does feel strange to have so much blue in my sewing room - it doesn't often happen I can tell you. I have nothing against blue but I always seem to buy aqua fabric not blue. I do not know why - sometimes I try really hard to buy blue but never quite seem to manage it! Is there a colour you avoid in the spectrum ? 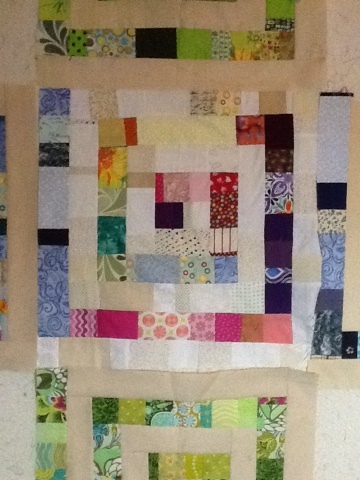 Yup I'm handquilting this big quilt - it could take a while! I would love to post on Scraptastic Tuesdays however I do not have a Blog. 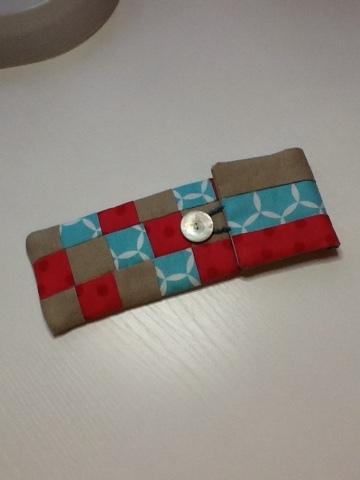 It is possible to partake by emailing my scrappy projects to you or Leanne? 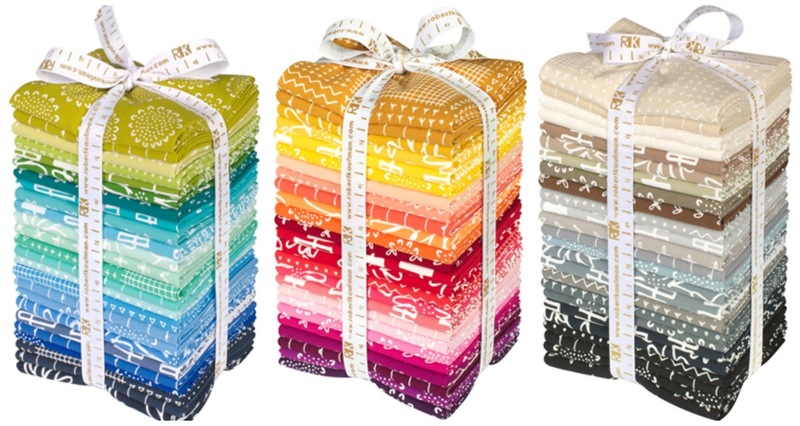 In the summer I was gifted for my birthday w/a 12 Fat Quarter Bundle of Cotton+Steel's "Tinsel" collection. 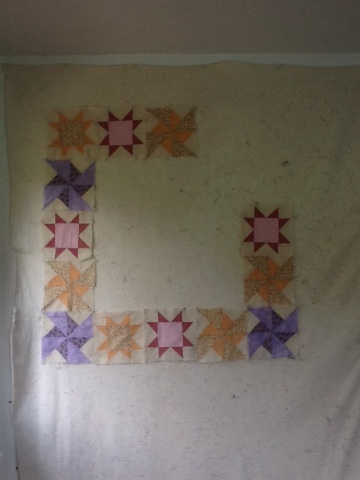 I pieced a Window Boxes quilt top, 66" X 76" and it's now off to the Longarmer for quilting as I do not yet possess the skill, or the space in my home for a longarm machine. What to do with those scraps? 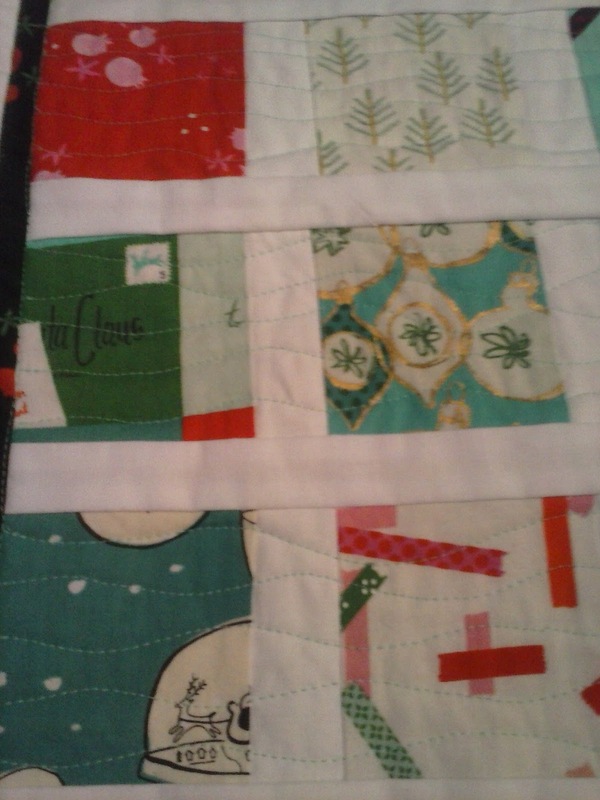 Hmmm,,,I have few Christmas decorations for my tables so I cut those scraps into 3.5 inch squares, used my left over sashing in Kona White in between the squares and came up with a table runner! 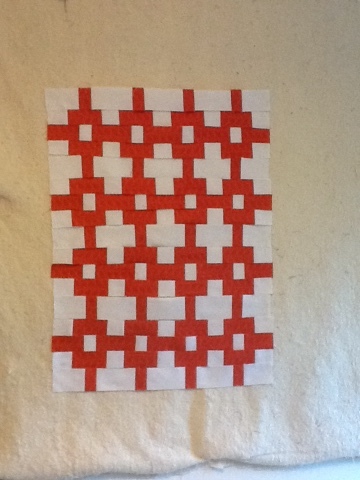 Quite the novice quilter am I and as a 2015 goal took a free motion quilting class at a local quilt shop. Much practice later I'm still in the "straight line " mode however have graduated to quilting wavy lines. I love the texture in the boxes w/the wavy line quilting and decided it was enough and left the sashing alone. The Tinsel runner is backed w/Kona Apple Green and bound with the Navy Pomegranate print in the Tinsel bundle. A little stitch in the ditch around my 1 inch Navy Pomegrante sashing and it's a finish. Thank you for inviting me to post on your blog. 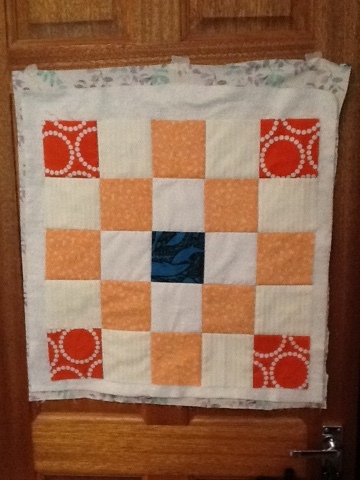 Thank you for sharing your project with us Diane! I'm a bit behind, between catching up with washing after a short break in Seville, taking the doglet for a good long walk, internet and laptop problems and working on the latest #siblingstogether quilt. 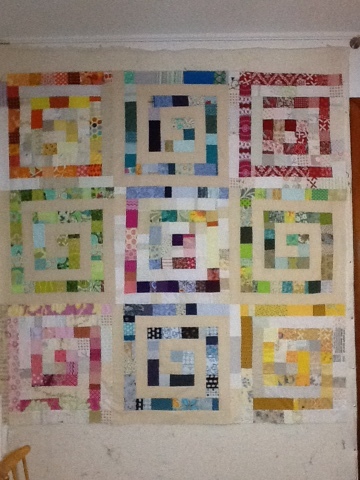 I received some orphan blocks some months back from my lovely friend and Stingy beemate Catherine! 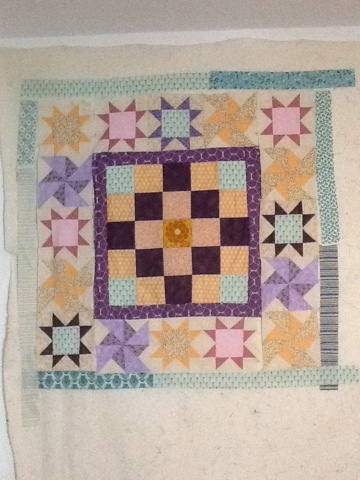 From early on I thought they would make a good border to a medallion quilt. I researched some complicated centre blocks but then I thought I should just keep it simple. 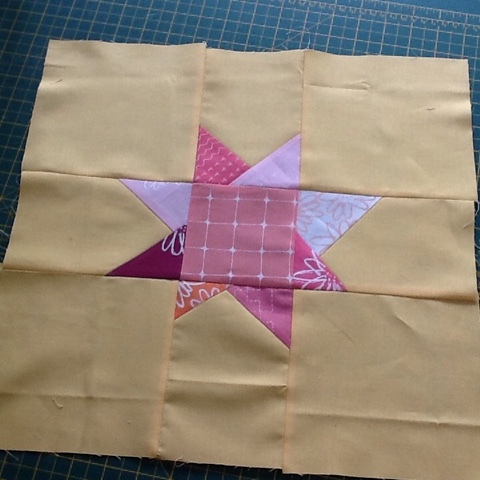 I'm making a quilt in my siblings together bee out of this simple tile type block and I thought it would work here too. 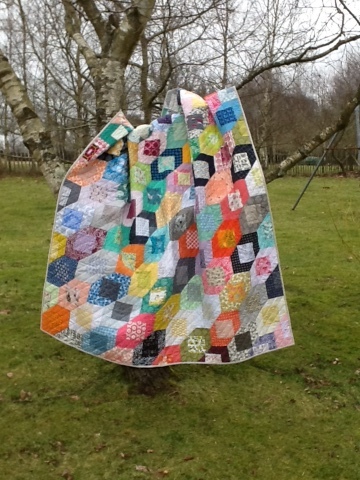 As my donated blocks are orphans I don't have the fabrics these were made from so what could I use from my stash? 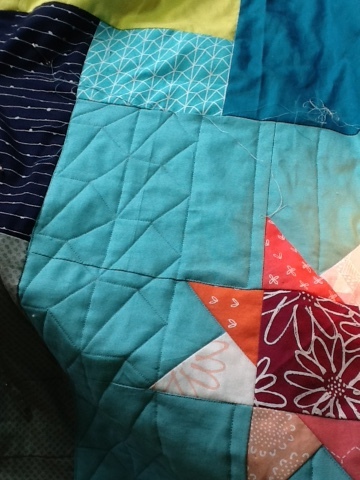 I found what I had in the tones already used - they weren't an exact match but I find that a scrappy quilt is quite forgiving as long as you mix it up. 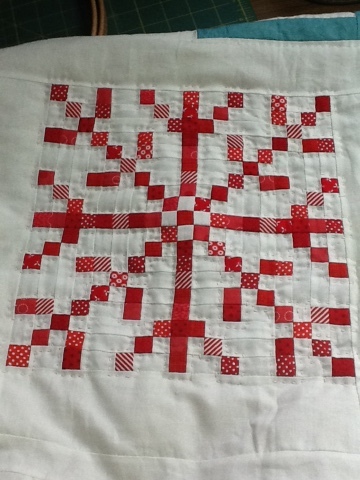 Then I decided I wanted a colour that would bring a bit of a sparkle to the quilt! I tried green but it wasn't working, then tried aqua, which seemed to bring that 'je ne said quoi'! I think I was right about that medallion style and my friends were right about those borders don't you? So what scrappiness have you been up to? One link per person, and it will be your entry into the random draw for the prizes. 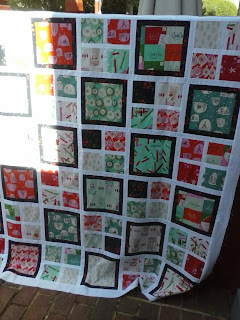 It is the same link up here and at Leanne's blog : She Can Quilt - so you only need to link up on one of our blogs. 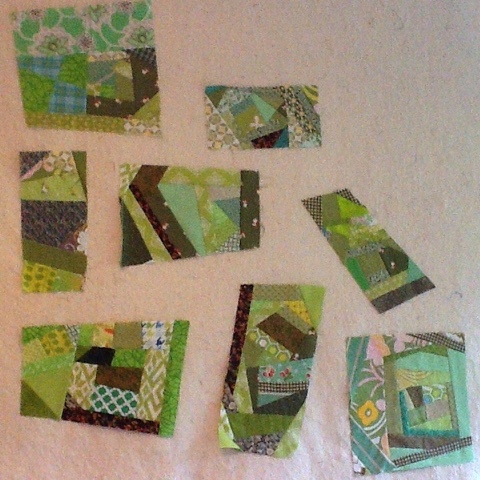 Scraptastic Tuesday - It is KLT time! I have long been an admirer and purchaser of the fabrics, hand screen printed by my lovely friend Karen Lewis. After much hard work, and determination, Karen has been taken on as designer for Robert Kaufmann with her Blueberry Park collection of 75 prints! Yes first collection and a whopping 75 prints! Isn't that marvellous. It is a great match for them as Karen has been printing on Kona fabric for quite a while and Robert Kaufman have developed a special technique of printing so that Karen's fabrics retain that screen printed feel. Her fabric is coming to the UK this month - some has been popping up before but it is on general release this month. I have signed up to the monthly club at Simply Solids as I am hopeless when it comes to choosing - I want them all! 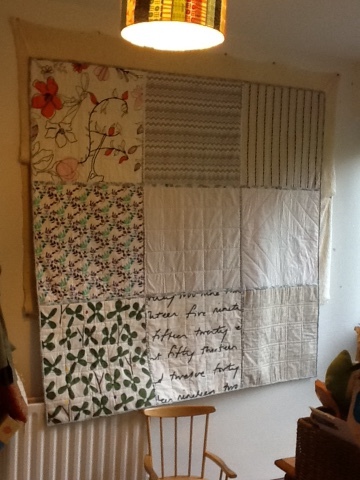 A while ago I had a Karen Lewis Textiles week #aweekofKLT - now I am thinking of #amonthofKLT to celebrate! 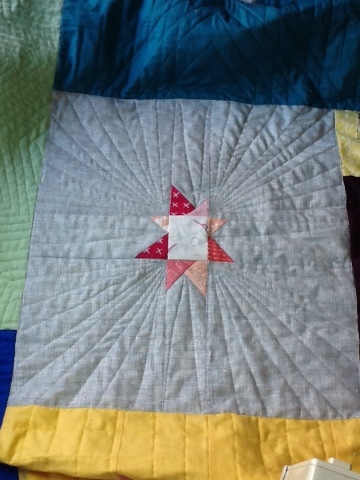 My first KLT project - a scrappy one I started in my KLT week - is a wonky star quilt. 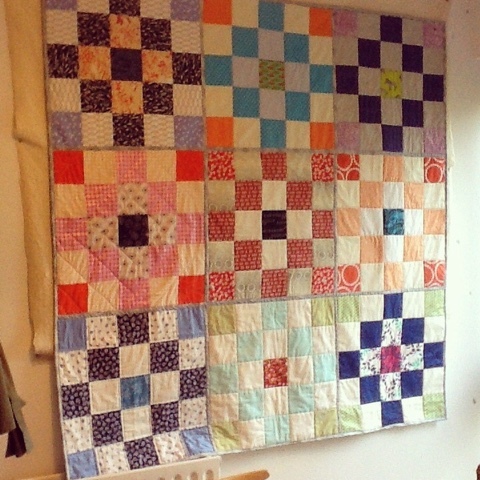 I have just finished quilting and binding it today! I just need to wash it and get that texture but here are a couple of pre-wash photos! 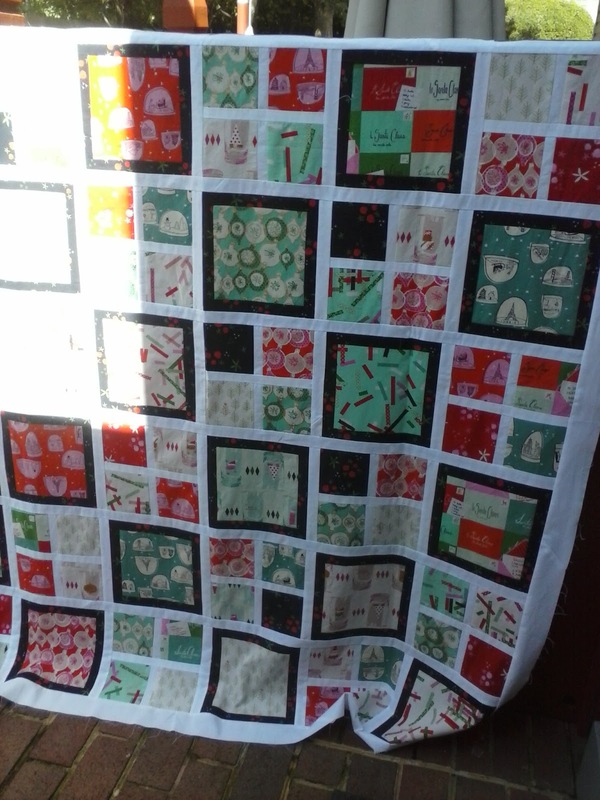 And that makes three KLT fabric quilt I have made! How many do you have ?